2018/2019 SOFTBALL TOURNAMENT DATES LISTED BELOW! 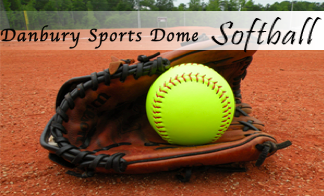 We are pleased to present our 4th season of Danbury Sports Dome Softball Tournaments, featuring full-size, indoor softball fields, unrestricted by walls or ceilings. Our 120,000 square foot Dome can run two games simultaneously with ceilings 95 feet high. You'll find details listed below following the photos of the teams that played in the finals of this past season's tournaments. The playoffs to conclude this year's ten-week High School Winter League were conducted in two seven-team divisions. 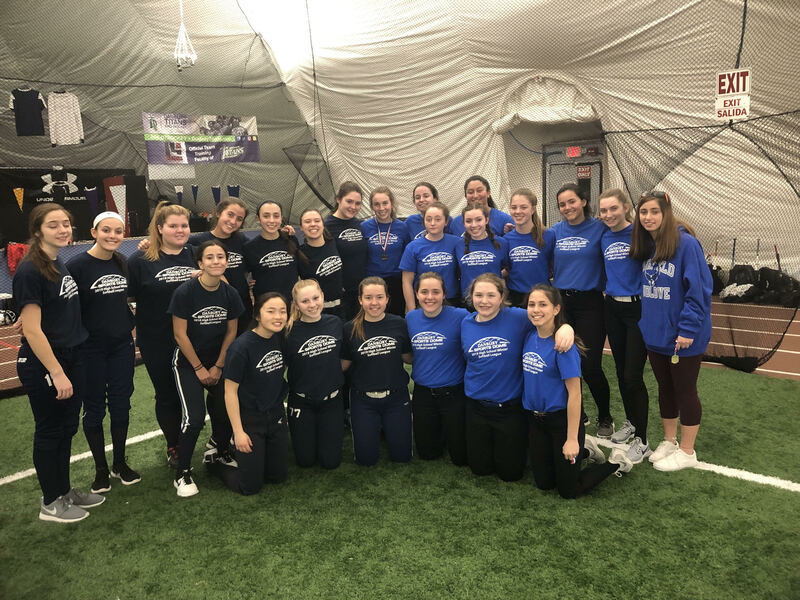 Pictured here are Fairfield Ludlowe, 8-7 victors over Staples in the Orange Division final game ...and 2018 defending champion Trumbull, which defeated Lakeland 5-1 for the 2019 championship in the upper Blue Division. Congratulations to Trumbull, Ludlowe, and all of the league's teams for an excellent season. Congratulations to the Rawlings Wildcats, victors over the Connecticut Diamond Club to take the championship of the inaugural 2019 10U Spring Bloom tournament. 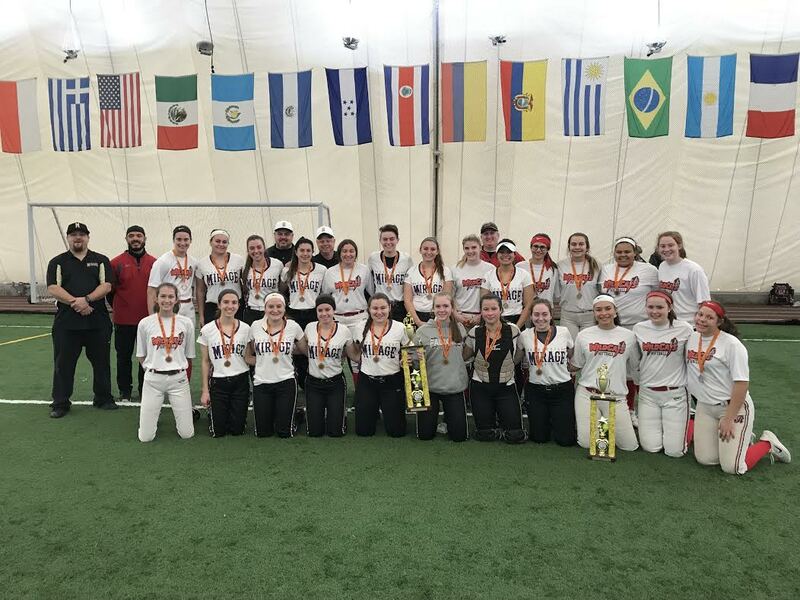 Congratulations to the 4th Annual 16/18U Holiday Swansong tournament champion Connecticut Mirage, come-from-behind winners over the Rawlings Wildcats in the very entertaining final game. 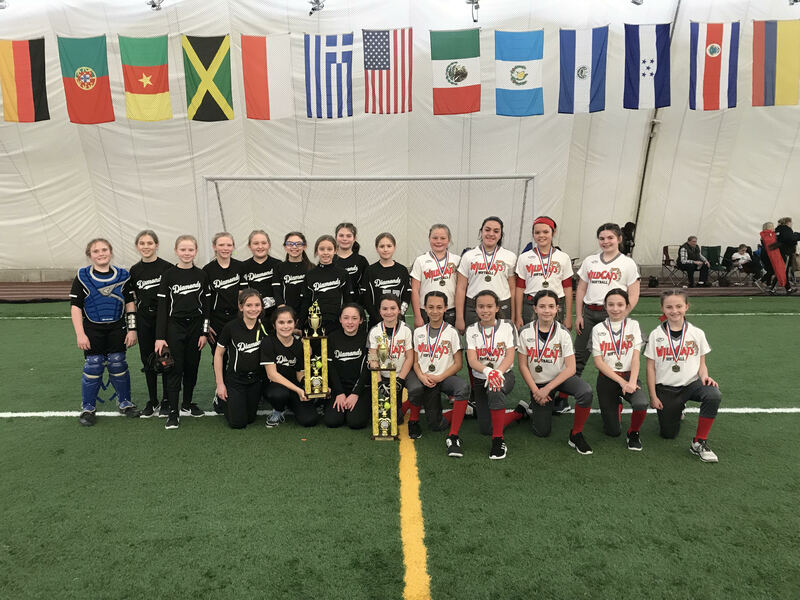 Congratulations to the Dutchess Debs who took home 1st place and defeated the Connecticut Diamond Club in the championship game of the 3rd Annual 12U Spring Warm-up Marathon Softball Tournament. Congratulations to the New York Bluefire, victors over the Rawlings Wildcats, to take the championship of the 2nd annual 10U Springfest Marathon Softball Tournament! 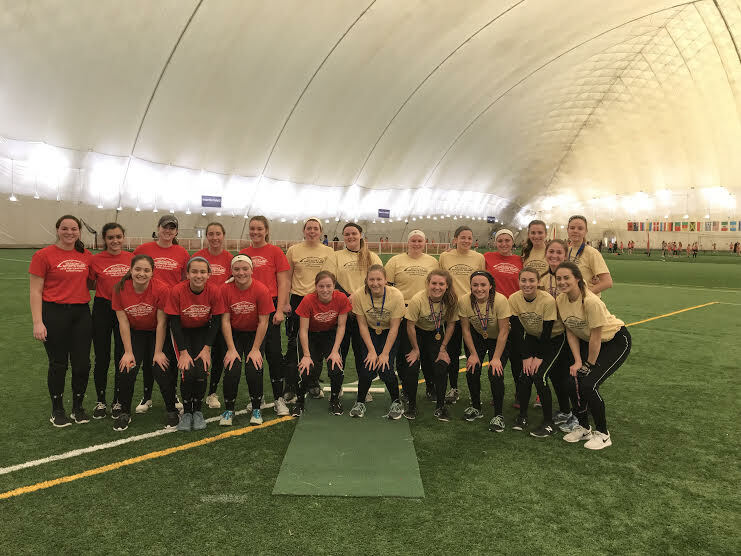 Congratulations to Trumbull, playoff champions of the Dome's second year hosting a ten-week High School Winter League season that involved eight teams from Connecticut and New York. They defeated Masuk (Monroe) 1-0 on a 7th-inning home run to dead center field. Masuk went on to win the CIAC Class L state championship in the spring while Trumbull finished second in the Class LL tournament. 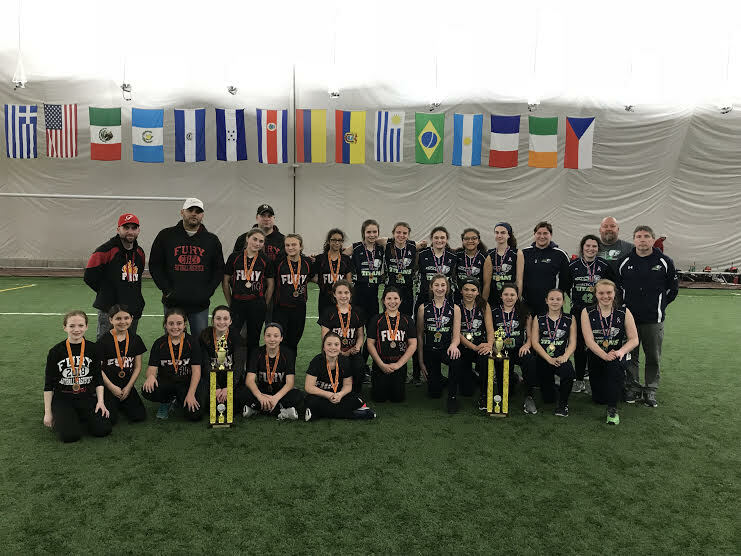 Congratulations to the Connecticut Fury for being crowned champion of the 2019 4th annual 14U Presidents’ Day Challenge Softball Tournament. The Fury defeated the Southington Lightning 05 team in the championship game. 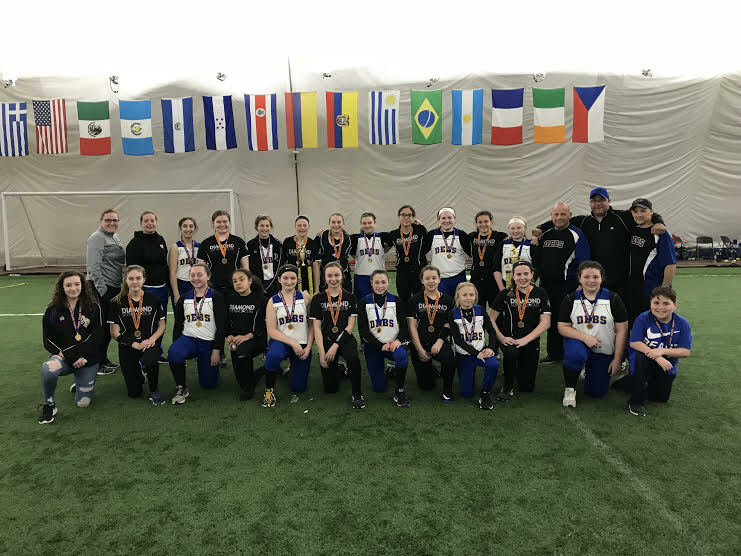 Congratulations to the Empire State Huskies who defeated the Western Massachusetts Screaming Eagles in the championship game of the 2019 4th annual 14U Beat-The-Winter-Doldrums softball tournament. Congratulations to the Diamond Club, victors over the Connecticut Fury to take the championship of the inaugural one-day 14U Turkey Shootout tournament. 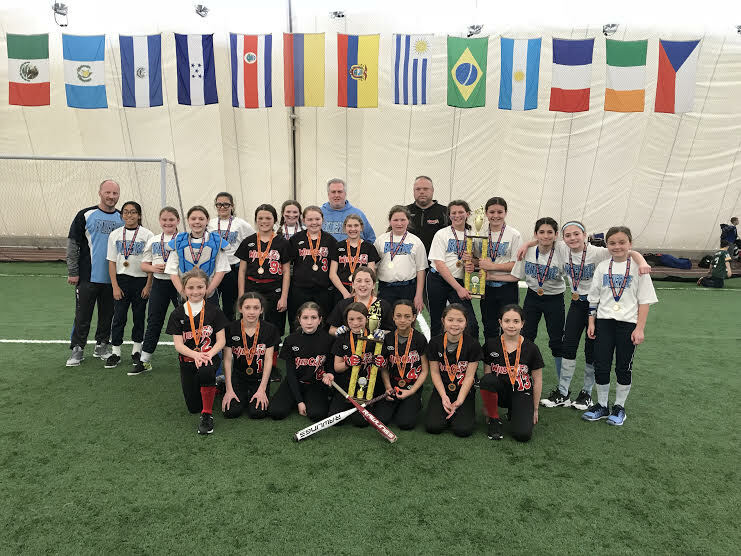 Congratulations to the Connecticut Titans who defeated the Connecticut Fury in the championship game of the inaugural 12U Spring Breakout softball tournament. 2018/2019 Dates Are Listed Here! Due to the ever-increasing demand for field usage, we're providing anticipated game times for each of the tournaments that are detailed below. Based on the number of teams who register to participate, some times might change slightly- aiming to begin early-morning play later and/or end late-evening play earlier than listed whenever possible. One, two, or three day tournaments with a minimum of 3 or 4 games. All games will have 2 umpires. If you would like to be put on the waiting list for any of the following competitions because one or more are already sold out, please email with all of your contact information, including the name(s) of the tournament(s) in which you want to participate. 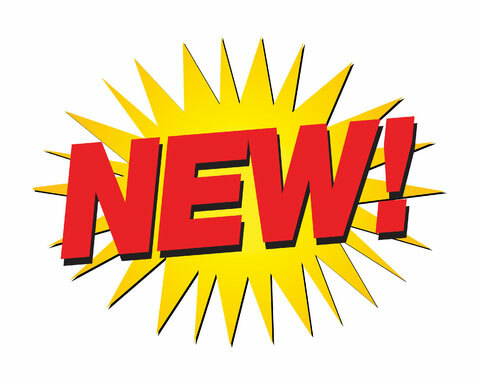 Teams are added from the waiting list when one or more registered teams drop out or we're able to expand the available time in order to accommodate more teams. Reunite with your college freshmen! Unlike the other tournaments in this year’s schedule where player eligibility is determined by ages for the 2019 outdoor season, this tournament’s player eligibility is by ages for the past 2018 outdoor season. This tournament is designed to enable players who have completed their 18U eligibility to participate with their long-time teammates – some of whom they’ve played with for many years - one final time over the holidays. Three-date tournaments involving 8 teams with a 4-team round robin on one date, another round robin involving a second set of 4 teams on a second date, and concluding with a seeded single-elimination playdown involving all 8 teams on a third date. All games with 2 umpires. Note: When registering online please indicate in the comments section your preference for which round-robin date your team wishes to play. We will honor preferences on a first-reserved basis whenever possible. 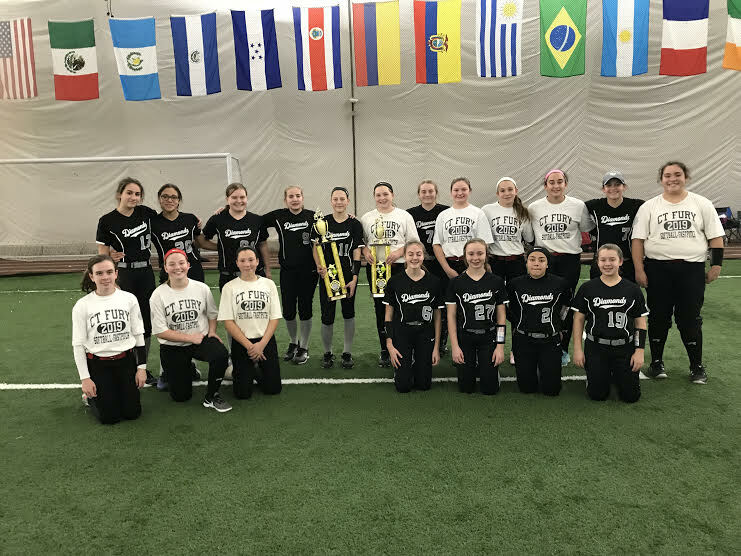 Expanded from 8 teams the past two winters, we’re very pleased to be hosting these 14 teams in the 2019 High School Winter League. Each team will be playing nine regular-season games before participating in the single-elimination playdowns to crown a winter league champion in mid March. 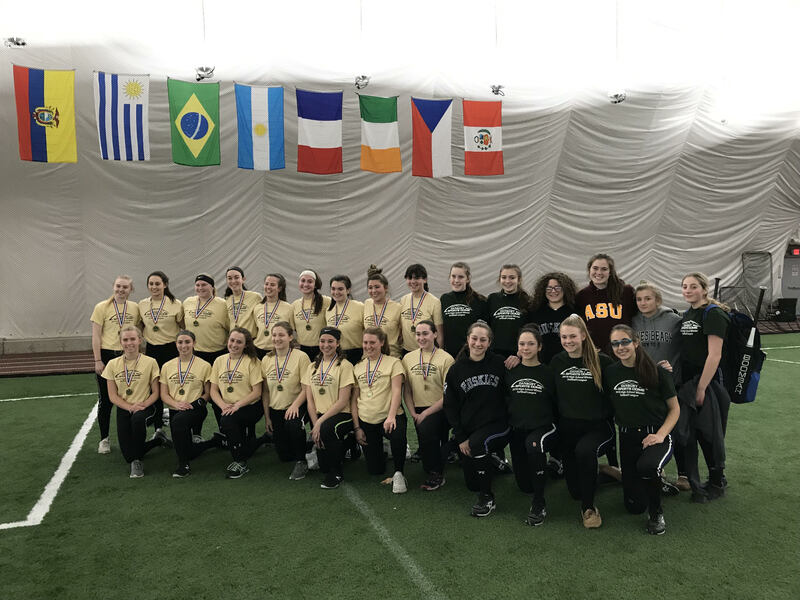 Last winter’s championship was determined by a seventh inning Trumbull (last spring’s CIAC Class LL semi-finalist) homerun to defeat the spring’s CIAC Class L champion Masuk 1-0. Feel free to e-mail your contact information to us at info@danburysportsdome if you’re interested in participating next season if there are open spaces. Each tournament will accept to the maximum number of teams stated above. If the competition you wish to enter is full please send your information to info@Danburysportsdome.com to be placed on the waiting list. We will accept registrations with FULL PAYMENT on a FIRST COME, FIRST SERVE basis. Tournament formats will include three pool play games with all teams advancing to the seeded single-elimination rounds. For both the traditional and marathon formats, games will be 1hr 15mins, no-new-inning except for the full-length championship games. Each one-day shootout will accept to the maximum number of teams stated above. If the competition you wish to enter is full please send your information to info@Danburysportsdome.com to be placed on the waiting list. Tournament formats will include two pool play games with all teams advancing to the seeded single-elimination rounds. Games will be 1hr 15mins, no-new-inning except for the full-length championship games. 2. Fax registration. Requires a credit card to process or to hold a spot for the arrival of a check. (No more than 7 days later). The fax number is (203) 456-3340. All cancellations must be received in writing via e-mail to info@danburysportsdome.com and you must make sure you receive confirmation via email from the Danbury Sports Dome. Verbal cancellations will not be accepted. Teams that cancel out of an event more than 30 days prior to the start of the event will be issued either a refund check or a refund back to the credit card for the full amount of the entry fee minus a $50 administrative fee if the tournament is canceled or we find a replacement team to sign up and pay in their place. Alternatively, the team may opt to have their tournament fee credited to signing up for a tournament later in the season by paying the $50 administrative fee. Inside 30 days, there will be no refunds from the Danbury Sports Dome. Danbury Sports Dome reserves the right to determine which tournaments will proceed based on registrations. If registrations fall short of the full number of teams that a tournament/shootout can accommodate, Danbury Sports Dome reserves the right to re-format the competition if at least four teams are registered. Depending on circumstances, possible examples include a round-robin event, a double elimination event, etc. If your team requires hotel accommodation please contact us for more information.